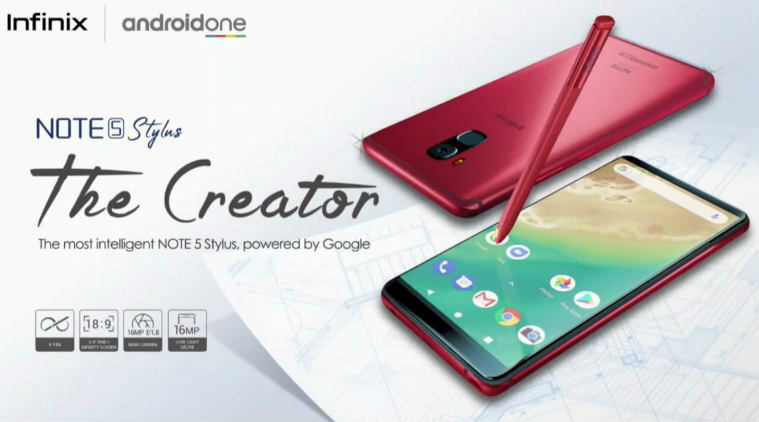 Infinix, the online smartphone brand of China-based Transsion Holdings, on Monday launched the "Infinix NOTE 5 Stylus" as its first smartphone with a stylus in India. The stylus "XPen" would enable the handwriting recognition feature on the phone and would allow users to doodle, write and paint. Designed with 4,096 sense of pressure, the stylus would be able to produce fine and detailed lines as well, the company said in a statement. "Apart from the Stylus, it stands out with features such as Artificial Intelligence (AI)-enabled) cameras, fully Metallic unibody, fast charging, and Android One experience," said Anish Kapoor, CEO, Infinix Mobile India. The Infinix Note 5 Stylus price in India is set at Rs. 15,999. The "NOTE 5 Stylus" smartphone will be available from December 4 in two colours bordeaux red and charcoal blue exclusively on Flipkart.